When I tell you, my second son was born with Down syndrome, you’ll probably feel sorry for me. You’ll probably feel sorry for my family and think we have endured a terrible tragedy. You will probably not believe me when I say it wasn’t tragic at all, and that actually it hasn’t negatively impacted us in any way. I thought that it would, but it didn’t. There was a moment that I was scared and hurt by what it meant for us, but it was unfounded. You may think I’m in denial, or that I haven’t fully excepted what it actually means for our future. You may think I’m naïve or that I haven’t come to terms with just how tough our lives will be. You may think that I couldn’t possibly be ok with my son having a disability. The truth is that I accepted my son for exactly who he is a long time ago. I accepted the fact that he has Down syndrome and that our lives were going to be different than we had planned, then I adapted to our new ‘different’ life. I accepted that my son’s life, along with ours would no longer map out in the way that society has deemed as ‘the norm’. You could even go as far as to say I took it as a challenge, we weren’t going to let it break us or damage the happy family life I had envisioned for us. That’s not saying I don’t have worries, because I have many. I’m certainly not this perfect Mum who doesn’t have bad days or bad thoughts, it would be damaging to other parents if I painted that picture. But I chose to not let them break me, I choose to not dwell on my fears and focus on doing my best to raise happy and confident children. At the end of the day, deep down underneath those worries and fears, I just know our life is good and that people’s pity is misplaced if they aim it our way. We are so lucky compared to many, and I cannot bare the thought of people feeling sorry for me when it’s so unnecessary. Since we learnt that River has Down syndrome and time has gone on, with very single day I have realized more and more how right I am to feel this way. I just know that River is going to be just fine, I know our family is going to be just fine. The truth is that I just believe in us, I believe in both of my sons and I just know that they have a great future ahead of them. I believe in my husband who works so, so hard to provide us with a good life whilst adoring on his boys, and without sounding big headed, I believe in myself as a mother. I haven’t been proud of many things in my life, and to be honest I’m not particularly good at many things, but I’ve been confident as a mum from the day my first son was born. I’m determined to do a good job, and that includes making mistakes and getting over them. None of us are perfect and that’s the point, imperfections are ok, mistakes are ok and being different is ok. We are all just human. I’m not naïve, I know we will face difficulties. I know it’s not going to be plain sailing and I’m well aware of challenges we may or may not face. Life is not easy for anyone who is different. This is especially people who have Down syndrome as they wear it in their characteristics and it’s assumed they are incapable before they even say a word. They are looked upon by society as less and along with their families will always have to fight for acceptance, unfortunately that’s just the way it is, however wrong it may be. Bring it on I say, I accept the challenge and I will raise my sons to do the same. Not with aggression, but with proof. My son’s life will prove society wrong. He will prove that you don’t have to be ‘perfect’ to be something, that you don’t have to be ‘able’ to be worthy. His life is something and I will do whatever it takes to make him believe that. I don’t know what our future holds. I don’t know if River will face health complications associated with Down syndrome in his future, even if he has no health issues at all right now. Also, I don’t know what the future holds for my health, or my husband’s health, or Skyler my first son’s health. None of us know, so I can’t spend my whole life worrying about what may or may not be an issue with River, when I can’t even tell you for certain if any of us will become sick. I can tell you that we will deal with whatever we need to when the time comes and not spend our days constantly worrying about what may happen in the future. Moments of worry happen of course, but I can’t let it consume us, I won’t let it affect my children’s childhood. I look at River growing up and I can see the person he is becoming. Every day I believe in him more and more. I won’t lie, every day his feistiness and determination exhausts me, but it also fills me with hope and pride. So much pride! He is feisty, determined, strong, funny, loving, fearless and mischievous. All things that rolled into one are going to serve him well in the life he has been given. He is exactly who he is meant to be, not a mistake or a sad misfortune, but exactly who he is meant to be and exactly who he needs to be. I just hand on heart believe in him. I believe in his brother and I believe in him. I believe that whatever his capabilities and whatever he achieves, it’s enough. I believe he has a place in this world and I believe the world is lucky to have him as part of it. I believe he will prove the world wrong. And we should believe in our children, right? Regardless of what anyone else says, we should all believe in the abilities of our children. Whatever those abilities may be. Those who don’t believe in their children will end up with children who don’t believe in themselves, and those children will become adults who don’t believe in themselves. That’s the reality. Believe in yourself to raise children who will become the best that they can be, and believe in them every single day. And tell them, tell them every single day. I just hope more than anything else, that River believes in himself just as much as I do. Such an uplifting and positive blog post. I hope lots of parents or parents to be of children with Down Syndrome read this and see all the wonderful positives you’ve highlighted. Gorgeous post for gorgeous boys. Why wouldn’t you love them for who they are. We love our children unconditionally regardless. You are an inspiration to your family and all those who read your story. What a lovely positive read! If we don’t believe in our children how will they ever believe in themselves? I read your breast feeding post the other day in a rush and just wanted to say also how good it was! 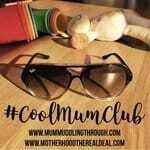 As a breastfeeding Mummy trying and failing to stop, you gave me a totally different perspective as to what makes other mothers keep going.